Some business analysts will tell you that the frozen yogurt market is becoming oversaturated with both franchises and stand-alone shops. But what if your national market expanded by 80 million overnight? That’s right. 80 million eager, willing, and tail-waggingly happy customers all ready to slurp your frozen yogurt with abandon. It turns out that dogs love frozen yogurt, and it’s even good for them! Frozen yogurt is considered healthier for people than ice cream, and many prefer it over gelato, churn-style ice cream, and even snow cones. The same probiotic goodness that can be found in quality frozen yogurt can also help keep your dog’s digestive tract healthy and reduce their bad breath. Several companies are marketing doggy frozen yogurt treats online, but there are also doggy daycare facilities that are buying frozen yogurt machines so they can add value to their offerings. By placing a machine in your daycare, you’re opening an excellent low-labor high-profit revenue stream for your business. 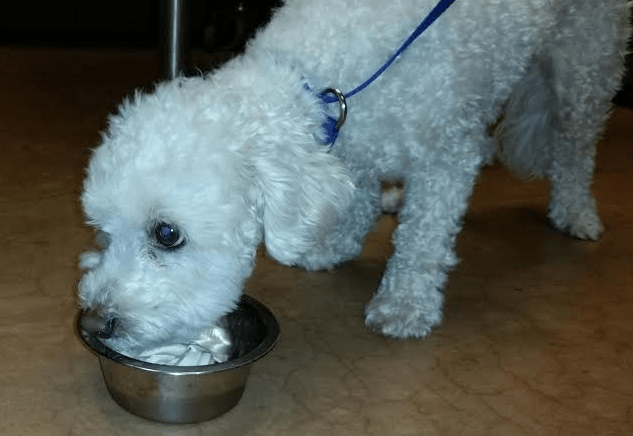 Why offer froyo to Fido? Enzymes within the yogurt help your dog’s digestive tract, settling their tummies in case of diarrhea. A healthy digestive tract also reduces bad breath. Dogs love the taste of frozen yogurt. The chill cools them down, the wide range of flavors keep them coming for more. It’s a treat for very good doggies. Mixes for the lactose intolerant are available for your precious puppies, but some dogs are able to digest milk with no problem. It’s a brand new product offering. Not many places are selling doggy frozen yogurt yet. Taking a step now could put your business at a competitive edge. Here are a couple of marketing ideas for selling your frozen yogurt to the furry demographic. Give your loved ones a treat! We know that your furry friend wanted to come along with you on the trip, but you had to put him into the hotel. For an extra $5 a day, we will pamper your pooch with a frozen yogurt treat. Both kids and dogs love frozen yogurt, and you can give each of them a cone at our open house. Be overwhelmed with cuteness at this all-day affair. One thing you will have to watch for is to avoid any artificial sweeteners. Dogs cannot tolerate artificial sweeteners. It can even make them sick. Use natural ingredients and real sugar. Only the best for fido! While there are a couple of places which offer pre-packaged frozen yogurt and ice cream snacks to our furry friends, the market for doggie froyo is largely untapped. Will you experiment? There are several home-made recipes online that you could probably reverse-engineer for your inspiration. Of course, your dogs also deserve the best frozen yogurt machine on the market to make their mix from Spaceman USA.